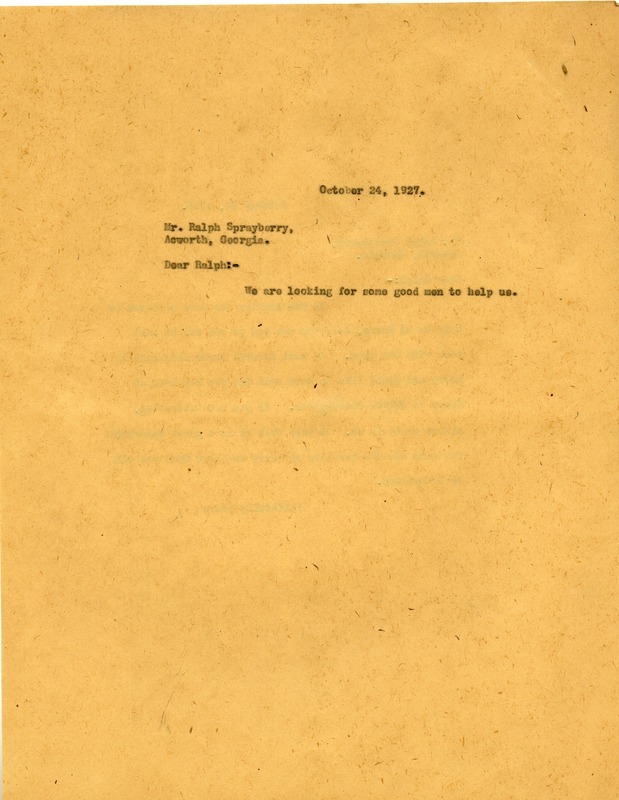 Martha Berry writes that Berry is looking for a man to work with the boys on the farm. She is looking for a man that has been at Berry. 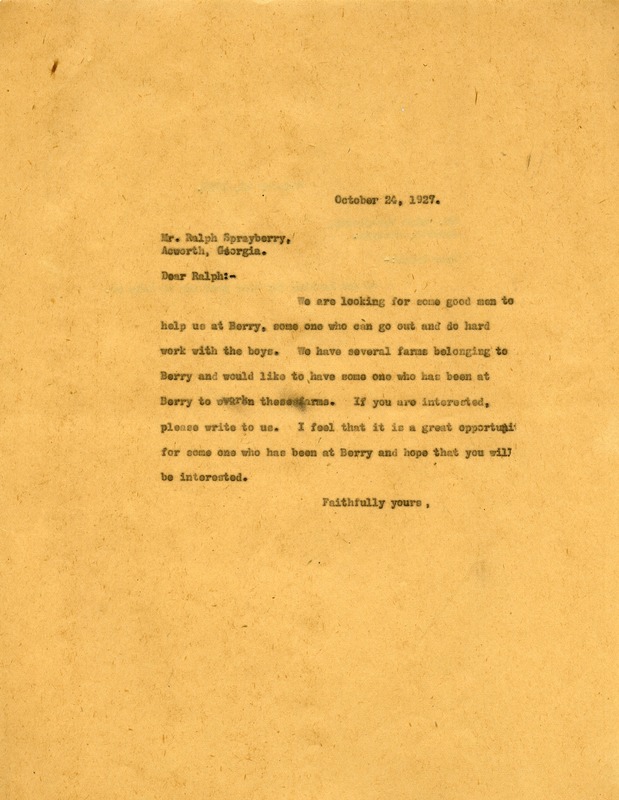 Martha Berry, “Letter to Ralph Sprayberry from Martha Berry.” Martha Berry Digital Archive. Eds. Schlitz, Stephanie A., Chelsea Risley, Alan Henderson, et al. Mount Berry: Berry College, 2012. accessed April 21, 2019, https://mbda.berry.edu/items/show/5849.